The PVMS PTO is a volunteer organization made up of parents, caregivers, teachers, administrators, and support staff who all are dedicated to the successful education of our children. The purpose of our organization is to aid the students and staff by providing support for educational and recreational needs; to promote open communication between the administration, teachers, and parents; as well as to encourage school spirit and pride. The PTO uses its resources, both manpower and monetary, to support our school community. April 8, 2019 - CANCELLED! Butter Braids Will Be Delivered on Friday! If you ordered Butter Braids, please come to the school between 2 p.m. and 4 p.m. on Friday, April 12th to pick up your order. If this time frame is not convenient, please contact Melissa Lennon (glscrip@prestonschools.org) to set up an alternate arrangements. All orders will be stored in the school freezer until Friday, April 26th at which time they will be donated to the Preston Food Bank. Show your spirit and enjoy a fun week before Spring Break! Monday - Pajama Day - Best Monday ever! Wear your comfy jammies! Tuesday - Wild West Day - YeeHaw! Let's Ride and Rope! Wednesday - Career Day - GOALS! What are you going to be when you grow up? Thursday - Class Wars - Each classroom chooses their own theme! Friday - USA - Red, white, and blue proud! Thank you to everyone who participated in the Butter Braid fundraiser! 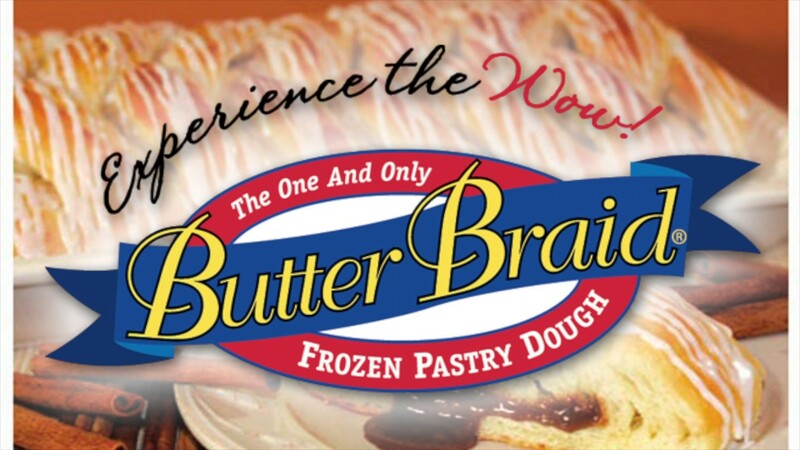 Butter Braids are expected to be delivered on Friday, April 12th, which is the last day before April Break. We are asking anyone who ordered Butter Braids to please come to the school cafeteria to pick them up any time between 2 p.m. and 4 p.m. If this time frame does not work for you, please contact Melissa Lennon at glscrip@prestonschools.org to make arrangements. Butter Braids not picked up on April 12th will be stored in the school freezer until Friday, April 26th, at which time they will be donated to the Preston Food Pantry. Save the date! Science Night is coming! Join us on Friday, April 26th from 6:30 - 8p.m .to explore, discover, and create with SCIENCE! There will be ten different stations, each with a unique challenge! Color Mixing - What colors can you make? Colorful Coding - What can you make the Ozbot do? Design Planks - What can you build? Floating Carrot - Can a carrot float in water? Floating Magnets - Can you make a magnet float in the air? Invention Challenge - Can you create a playground using the materials provided? Pencil vs. Plastic - What happens when pencils pierce a plastic bag? Play It by Ear - Can you arrange cans in order by their sound? Rain vs. Roof - Which roof type is best in the rain? Straw Rockets - Can you create a rocket from a straw? BONUS: Tower of Hanoi Challenge! Also, we are in need of volunteers to help oversee each of these ten stations. No experience is needed! Please contract Melissa Lennon at glscrip@prestonschools.org if you can help! Save the date! All PVMS boys are encouraged to invite that special lady (mom, grandmother, aunt, friend, etc.) in your life to a dance just for you in the school gym! More information to follow. Wondering what the PVMS PTO does? Here's our planned calendar of events and activities for the year! Spirit Sticks are just $1 each! Kids love them! They attach them to their backpacks to show off their school spirit! We have many different styles and you can purchase them in the school office! Do you shop on Amazon? Consider signing up for Amazon Smile and have Amazon donate to the PVMS PTO! You shop, the PTO is rewarded! It's a great match! Box Tops can be found on many products. They are worth ten cents for each one redeemed. It may not sound like much, but over the last ten years the PVMS PTO has earned over $18,000 by just mailing in Box Tops! It's that simple! As an added incentive, the PTO each month presents the top student with a certificate and the top class wins a popsicle party and a certificate to display in the classroom. At the end of the year, the top 3 PVMS student collectors will receive a trophy at the awards assembly for submitting the most Box Tops! Also, students who have brought in 100 or more Box Tops will receive a certificate at the end of the year! Finally, the classroom that has contributed the most Box Tops at the end of the year will receive a certificate also! Want to earn even more Box Tops? Sign up your Price Plus card at Shop Rite! See the Shop Rite for My School box below for more details! To learn more about the program or to see which products are participating, please follow the link http://www.boxtops4education.com. Are you a Box Tops member? Sign up at www.BTFE.com to stay updated on our school's earnings and find a full list of over 250 participating products. Members also receive exclusive coupon offers and recipes as well as extra ways for our school to earn more! Register your Shop Rite Price Plus card, purchase My School participating products at Shop Rite using your card, and help PVMS earn digital Box Tops! How many Bonus Digital Box Tops can you earn? Buy 6 participating items in one shopping trip and earn 40 Digital Box Tops, buy 4 participating items in one shopping trip and earn 20 Digital Box Tops, or buy 1 participating item in one shopping trip and earn 2 Digital Box Tops. The list of participating products can be found using the link above, too! Just register your Stop & Shop card with Preston Veterans Memorial School and the PTO will receive money every time you shop! Simple earnings for the school while you buy the things you need! Easy! To learn more about the program, follow the link below. If your card is registered already, there is no need to re-register! In partnership with Crayola, we can repurpose used markers and turn them into energy! Send in your unusable markers, dry erase markers, and even highlighters from any brand and place them in our colorful collection bin! Crayola then takes care of the rest by covering shipping to send them to a facility where they will be converted into clean fuel. This fuel can be used to power vehicles, heat homes, cook meals, and more! Let's save our planet! Yes, it's true! We're on Facebook, too!